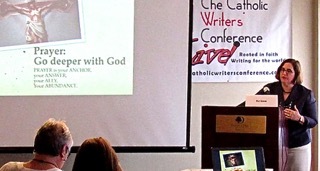 The Catholic Writers Guild is a group of writers, artists, editors, illustrators, and allied dedicated to building a vibrant Catholic literary and artistic culture. 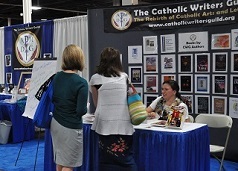 We do this by encouraging each other to create, publish, perform, and share our work; by reflecting upon core Catholic values (i.e., those in accordance with the teaching of the Magisterium) in art; and by networking among ourselves and with others within the faith and literary communities. We are loyal to the teaching authority of the Church. Our regular and alumni members are practicing Catholic writers, while institutional members are persons or company supportive of Catholic writing; institutional members need not be Catholic but sympathetic to Catholic practices and morals.